At his state-of-the-art practice in Gardena, California, Dr. W. Felix Peng has seen many Los Angeles residents who suffered from TMJ disorders. 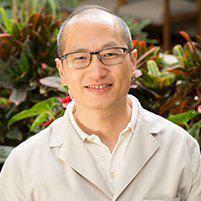 Dr. Peng is familiar with the latest diagnostic techniques and treatment options used for TMJ disorders. TMJ is short for the temporomandibular joint, which is a sliding joint that connects the jawbone and skull. It’s easy to see why both medical professionals and the general public use TMJ instead of the joint’s full name. Both the muscles around the joint and the joint itself can develop issues. What Symptoms to TMJ Disorders Cause? These symptoms may range in severity from mildly annoying to excruciating and debilitating. It should be noted that, although some patients who have TMJ disorders grind or clench their teeth, there are many people who grind or clench their teeth, but don’t develop any TMJ disorders. What is an Appointment for a TMJ Disorder Like? An appointment with a functional orthodontist for a potential TMJ disorder is a lot like any other dentist or doctor appointment. After a conversation with the patient about their symptoms, the orthodontist will perform an exam of the jaw. They will then provide their diagnosis and recommend a course of treatment if there is a TMJ disorder. They will also, of course, answer any questions that the patient has throughout the appointment.